I am unfit to tell the story of Heady Topper. Every beer geek has heard its name. Many have stuffed the 16 oz. silver cans into their luggage, said a quiet prayer, and sent them packing. Still others drive up to Burlington, VT with a timed list of stops for the delivery truck, hunting them down like they’re the last remaining perishables on a planet besieged by tragedy. But really, it’s the locals that deserve to tell the story of this legendary beer—and if you give them a chance, they still do. There’s a quick eye roll from some, a darting glance from others. But eventually they’ll all slouch off their bar stools and say yes, yes it is amazing, and yes, yes they have some here and there, and yes, let’s go get some. You can get Heady at the Burlington airport—casually, and just as easily as you can get Sam Adams Boston Lager in most other airports. Or a Magic Hat Number 9, for that matter, which is sold with a chipper introduction that's so jarring it's almost convincing—wait, what the hell are you talking about, the Heady please. The can pops, it thuds on the bar, she walks away, you drink it from the can. 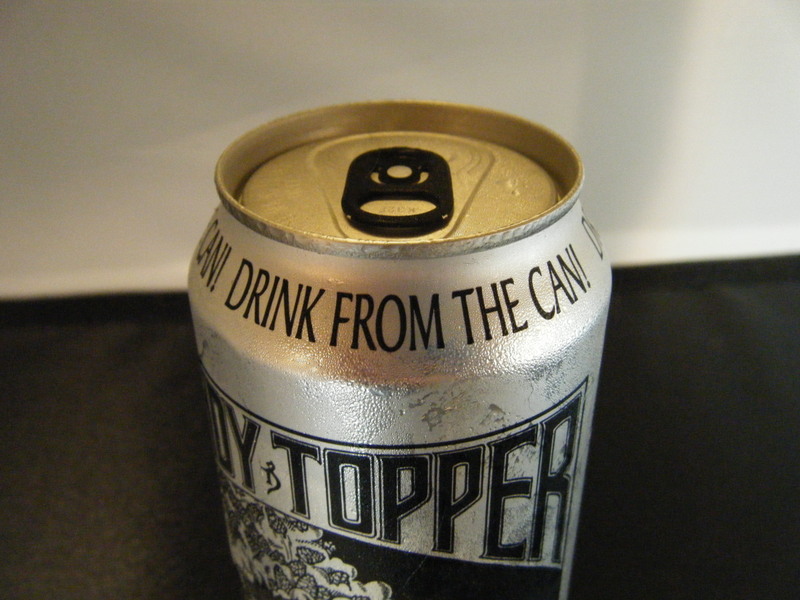 There’s more Heady Topper being made than ever before. And that’s important to understand, because it’s actually being pulled back off the streets a bit. The Alchemist just opened its long-awaited production brewery where they now sell mixed cases of Heady, Focal Banger, and, at the moment, another Double IPA called Crusher. All are monstrously hoppy beers, but it wasn’t always this way. There were always long lines and on-site sales, but between the fervor of its first and its most current iteration, the Alchemist beers flowed freely, if insufficiently, into town. But now, with a shiny new production brewery, the assumed promise of a Heady in every pot has taken a different turn. The bars, restaurants, and retailers who sold Focal on the regular—and Heady when they could get it—are now coming up short. Focal is exclusive to the brewery, and Heady has been cut by a significant percentage. The age of the full-margin brewery-retailer is in full swing. It’s easy to see The Alchemist’s new production brewery as The House That Heady Built. I sure do. After the original location flooded, Kimmich and his partner Jennifer—together, a young married couple—had a bizarre decision to make. They could walk away, or transition from brewpub to a production brewery in one leap. They had just purchased the canning line to start packaging their beers and, in the literal wake of that flood, the tiny brewery stood like a singular choice—start canning Heady, or go home. Whether that original brewpub and the approach to making beer lives on through Heady is hard to say. Some origins are instrumental, and some just get lopped off in the process. But it was supposed to organically grow from there. That transition from brewpub brewer to single-brand production is a mighty step toward focus and reduction. Brewpubs are notoriously hard to keep up with, requiring a constant pipeline of new recipes and fast turnarounds. But brewing and canning Heady? To any brewer, that’d seem like an unreasonable constraint. For Kimmich, looking back, there’s some rationale to it all. Down to one beer, the act of brewing became a different thing altogether. It became an exercise in repetition, perfection, focus. It calls to mind the sequences in Karate Kid—wax on, wax off. For a less mature brewer, the constraints would feel like torture. But Kimmich found his groove. And, ultimately, that muscle memory paid off. It’s just an IPA. Really. It has unique characteristics. It’s somewhere between cloudy and sparkling depending on the time it spends in the can. It will, in fact, flocculate some on its own after packaging. It has an immense aroma that leaps out of the can or the glass, depending on your chosen vessel. The Alchemist, of course, votes can. But Heady Topper’s real claim to fame is that it’s the most well-known missing link between the English IPAs that populate the Eastern U.S. and the more recent evolutionary offspring of the hazy, juicy IPA vein of New England. Of course, by comparison, Heady’s intensely bitter. In fact, many of today’s hazy IPA brewers are trying to harvest the Heady yeast to propagate their own, hoping for similar results. What started as a hand-me-down culture from his mentor at Vermont Pub & Brewery, and, before that, an English brewer in the ‘90s, has become the progenitor of an entirely different strain of IPAs. And that’s not necessarily a good thing. If haziness were the goal (and some who are cashing in on the trend might argue that, in fact, it is), Kimmich has some experience with that too. But it wasn’t pleasant. It’s also a living, breathing thing for him. In some ways, it’s the repetitive, machine-like churn toward perfection that keeps Kimmich engaged. Other times, it’s a battle against all odds for consistency. “I have a very specific idea of what I want Heady to be, and it is what it is,” he says. “I’ve been making it since 2004, so it went through many, many changes and incarnations at the pub. By the time we got to the production brewery, it was pretty well refined, but even then you’re still developing techniques and different ways. How can we drive our dissolved oxygen even lower? How can we get even more flavor and aroma out of these hops? There’s little tricks and tweaks, but at this point, it’s like a well-oiled machine over there. These days, it takes a team to make Heady. And hiring for a production brewery that only recently started making more than one beer is a job description unlike any other in the U.S. It’s a job more appropriate for a brewing engineer or a chemist from a place like Anheuser-Busch than an up-and-coming young brewer trying to spread their wings. And that reality isn’t lost on Kimmich. For all the growth and sense of normalcy around Vermont these days, the hype hasn’t died down. Other things have cropped up, spread the attention around a bit. All around New England, the hazy IPA style alone is building breweries, some of which have become stops on the way to The Alchemist and vice versa. And with the move back to exclusive brewery releases, even Kimmich may have learned a thing or two about the gravity his beers create, and how to maximize the business value of their reputation, despite all the peripheral nonsense. But for all that fervor, and a relatively long-standing fervor at that, it’s not clear what it all adds up to in the lifetime of a brewer and beyond. Even for a guy that may have brewed one of the most iconic American craft beers in history, Kimmich finds some darkly funny perspective in it all. Special shoutout to Matt Canning of Hotel Vermont for some friendly logistical help on this one, and a resulting good time.